From this day on, treatment for kala azar will only take two hours. Single-dose liposomal amphotericin B, commonly referred to as SD LAmB, has now been made available in local health centres in Bihar as the preferred treatment for kala azar (visceral leishmaniasis - VL). 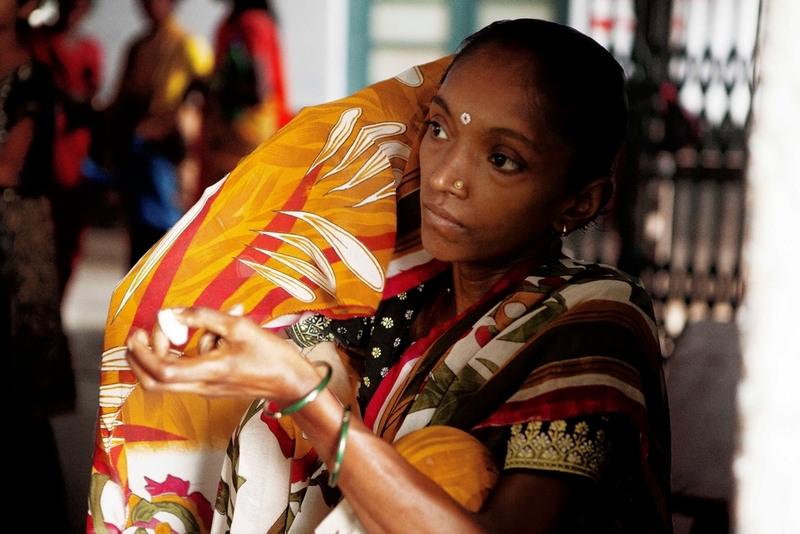 Bihar is one of the states in India where kala azar is highly endemic. Doctors Without Borders/ Médecins Sans Frontières (MSF) extends its full support to the government of Bihar in implementing the new treatment protocol of administering single-dose (10mg/kg) LAmB as the preferred first-line medicine to patients diagnosed with kala azar. This new treatment programme is now available in all government local health facilities in Bihar. The use of single-dose LAmB is a shift from the previous treatment protocol of Miltefosine which needed to be administered orally over a period of 28 days. Kala azar disproportionately affects the poorest, most vulnerable communities in Bihar and is transmitted by the bite of a sand fly. Due to the distance to health facilities, and climatic, social and economic factors, the number of people unable to follow the treatment for 28 days has been high. Single-dose LAmB is an effective treatment administered through intravenous infusion, which will be given to the patients over a two-hour period. This makes LAmB a more patient-friendly drug as a single point of care that can be given to all categories of patients, including pregnant women and young children and can be administered at different healthcare levels (local health centres and Hospitals). “This treatment is free, safe and effective. With only one dose, large numbers of patients affected by this disease that is fatal if left untreated, making it a positive step forward towards elimination of kala azar in the region,” says Nines Lima, MSF’s Tropical Medicine Advisor. Gradually, all local health centres in the most endemic areas of Bihar will be able to diagnose and treat kala azar patients using single-dose LAmB. This paves the way for providing safer treatment for kala azar and towards achieving elimination by reducing the annual incidence to less than one case per 10,000 at the provincial level. MSF nurses administer the daily dosage of Kala Azar medicine at the MSF Kala Azar unit in Sadar Hospital in Hajipur. Transmitted by the bite of a sand fly, kala azar is a vector-borne disease, endemic in 76 countries around the world. Typically, the disease thrives in impoverished areas and is almost always fatal if left untreated. It usually occurs in villages where houses have mud walls and earthen floors, and cattle and other livestock are kept close to human dwellings. In India, Bihar is the epicentre of kala azar where 33 out of 38 districts are affected. The population at risk is nearly 35 million in approximately 11,500 villages spread over 429 provincial blocks. 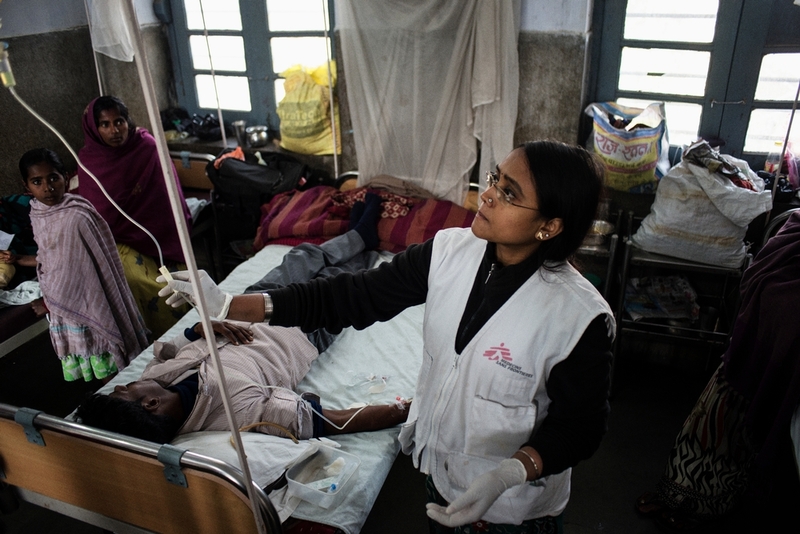 MSF has been on the frontline of fighting kala azar in Bihar since 2007, and has treated, free of charge, more than 11,000 patients to date with LAmB and has achieved high cure rate results. The organisation extends its support to the Ministry of Health and Family Welfare (MoHFW), the National Vector Borne Disease Control Programme (NVBDCP), the Rajendra Memorial Research Institute (RMRI), and the Kalacore consortium, in the drive to eliminate kala azar and contribute to improving the health status of at-risk populations living in the endemic areas in India. MSF has been conducting field research to find the best treatment options for kala azar patients. See outcomes on the use of LAmB here. 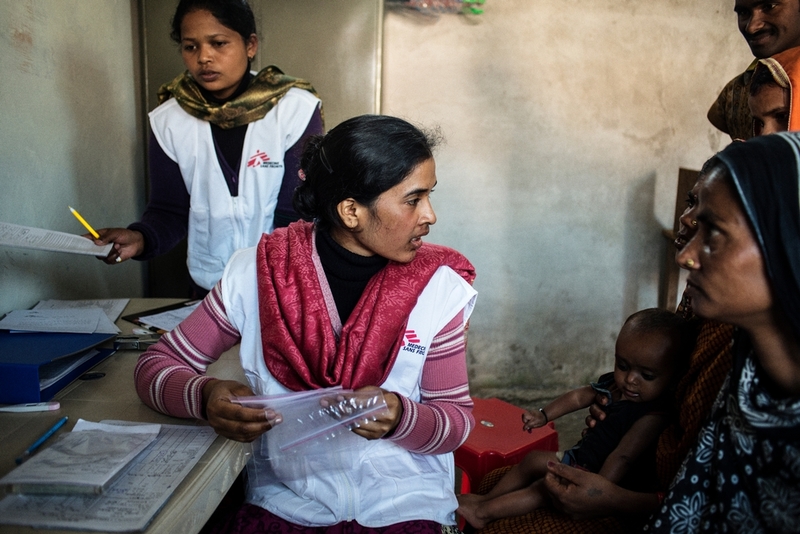 MSF Nurses counsel and give medicines to children at the MSF malnutrition clinic in Rasiari, Bihar. MSF has been working in India since 1999, and provides medical treatment to thousands of patients in Andhra Pradesh, Bihar, Chhattisgarh, Jammu and Kashmir, Maharashtra and Manipur. Also, MSF currently supports a 50-bed kala azar ward inside the Sadar District Hospital in Hajipur, and five primary health centres (PHCs) in Goraul, Vaishali, Mahua, Mahnar and Raghapour, where the single-dose LAmB is either available or will be made available in the near future.